This is a Persona 5 article on What is a Persona? Here you will find details on Persona Basic Information Summary. For more Persona 5 content, head over to our top page. 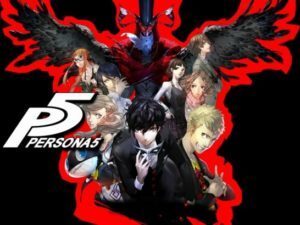 In this article, it aims to introduce Persona Basic Information and a summary of some of the features that are included in the game. Persona (which is also the title of the game) represents the meaning and representation of play characters, external personality and masks. In this game series, it is said that a persona is embodied in the form of a god or a devil by admitting and controlling the existence of “another person’s self” contained in the mind of the character. It is becoming that existence which makes a persona. Each character that appears in the game possesses a persona, and uses the power of that persona to solve difficulties. “Shadow” which appeared as an enemy in the previous work “Persona 4,” is also embodied by people’s suppressed feelings. It is made by being unable to accept the suppressed or what is normally called “another myself”, thus it becomes a shadow. In this game,”Persona 5″ Personas will appear as “emotions of human beings realized” distorted by the distorted desires of the Lord of Palace. You will play the story by stealing the distorted desire (otakara which is the Japanese term) of the main shadow of the Palace appearing as an enemy and rehabilitating it. The main character or the protagonist has the special power of wild (which was also present in the previous game). Unlike other characters, with this power you can possess and handle multiple personas (Personas are fixed for other playable characters). Personality will change the tolerance and weaknesses of the characters, status, available skills, etc. Depending on the persona, the hero/protagonist will be changed by the persona being summoned. You can obtain persona (s) by negotiating with a persona by selecting “give me strength” in a hold-up state after striking the enemy’s weak point. Personas that can be friends can be the same as the main character ‘s level or only a person who is lower than the protagonist level. In addition, some bosses and other enemies cannot negotiate (cannot obtain via means of negotiation). As you advance through the story, you will be able to unite personas in the velvet room. The persona to be used for coalescing is a coalescence of two at the beginning, but it will be possible to coalesce using three bodies combined or more afterwards. Persona that are used as a material for coalescence disappears, but you can take over some of the persona skills you used as a material to the resulting persona after coalesce. Levels are raised by getting experience values. You will be able to get experience values in battle and others forms of games (minigames). Personas raise their level when you level up. In addition, there are times you learn new skills besides increasing the status of your persona up. So, if you get a new persona, it will be best to train the persona that you have newly acquired.